Have you ever taken a moment to calculate just how much your assistant adds to your bottom line? That's right, adds to your bottom line. Too many advisors look at having an administrative assistant as an expense they just can't afford, but I can assure you, if you leverage that resource correctly, your assistant dramatically improves revenue and contributes tremendously to your bottom line. Do You Even Have an Assistant? If you don't have staff I can guarantee you that you are missing out on a significant amount of sales. At a minimum, your staff helps you drive more business by allowing you to do what you ultimately do best, and that's work with prospects and clients face-to-face. Over the years, we've worked with thousands of financial professionals, yet only a small fraction of them have brought on a full-time assistant. What we can tell you is that financial advisors who have staff are generally more successful and as a result they make more sales and more money. Generally insurance professionals are fantastic at building relationships, understanding client concerns and finding suitable financial strategies and solutions. But as we all know, there is a lot more to this business than that. 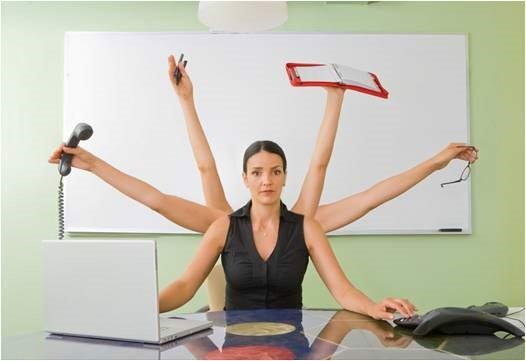 So how do you run a well-oiled machine when bringing on or expanding the role of your administrative assistant? Each day, you are bombarded with distractions. New tasks jump up in your face and try to derail you from focusing on the two or three things that only you can do. That's where your staff comes into play. Just think how much more efficient and successful you could be if you only focused on the tasks that you are really good at and that generate revenue for your firm? Once new prospect opportunities have been generated, your staff -- not you -- should be busy scheduling appointments for you. Once an appointment has been set, they execute the steps necessary to create an extraordinary client experience. Before the prospect even walks in the door, the front-office team establishes a relationship. What we've found is that following the right steps with prospects from the moment they walk in the door dramatically helps transition more prospects into clients. We completely outline these steps in our Consistent Advisor business management and coaching program. Let's be honest, not many salespeople like the paperwork and headaches associated after a client decides to move forward with your financial recommendations. Before the ink dries on your new client paperwork your office staff kicks into high gear. Their job is to process the business. They make copies of the paperwork, and check them for missing information, signatures, or initials. After that they send paperwork to the appropriate custodians who will be holding the client funds. Your office staff follows up on any missing requirements to get the client’s business issued and paid. Your administrative staff is also in charge of the experience after the prospect becomes a client. They handle any required servicing activities to keep the client happy. They will also schedule periodic reviews and prepare updated client records for the review meetings.